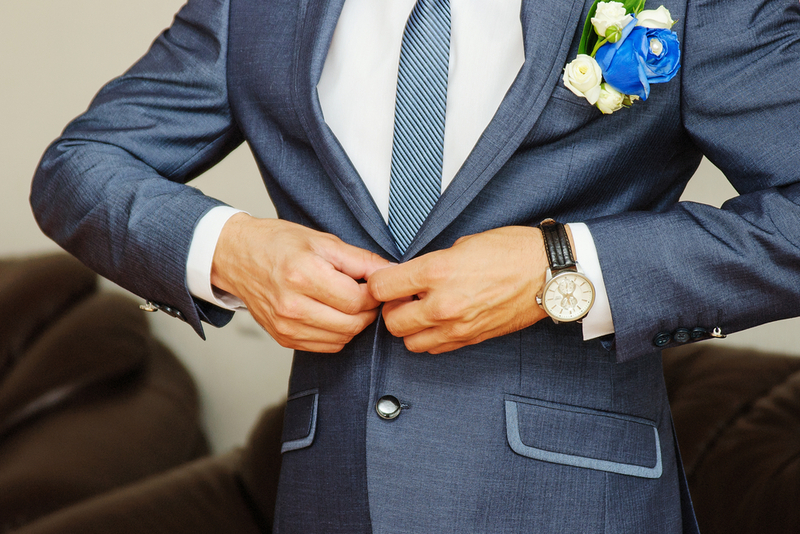 The bride’s dress steals the show at weddings, but there is a lot that can go into planning what the groom and the groomsmen wear. While there might not be as many suit and tie options as there are wedding dress styles, these are the things you should know about what’s in style now. Tie bars (or clips): They’re classy and serve a purpose in addition to being a stylish accessory. Silver goes with almost anything and is a safe bet if you’re not sure what to choose. 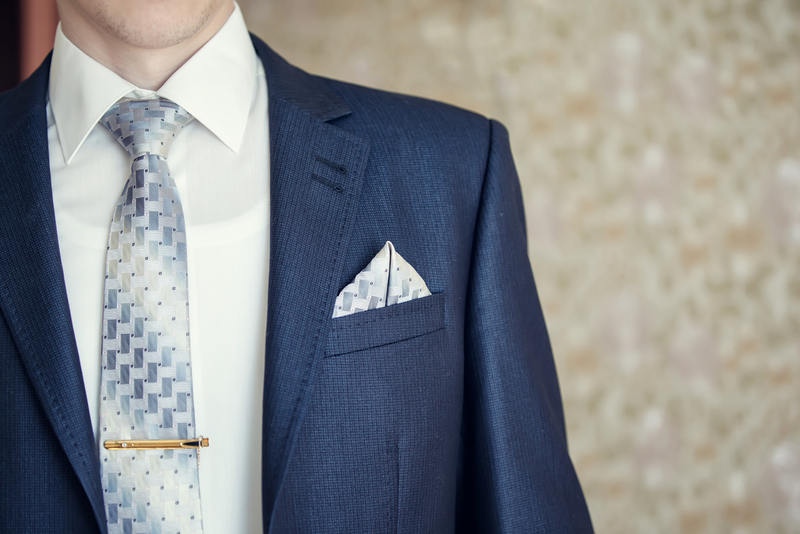 The placement of the tie bar should always be about 3/4th the width of your tie (never the same width) and worn perpendicular around the third and fourth shirt button. Tuxedos & suits: Black is always in style but blue is definitely the trending color right now. Navy blue is a safe option but even electric blue suits are making an appearance. The runner up is gray. We’re seeing a mix of different shades of gray for the groomsmen. Light gray works great for daytime weddings and darker gray for evening. In terms of fit, slim fit is gaining popularity. 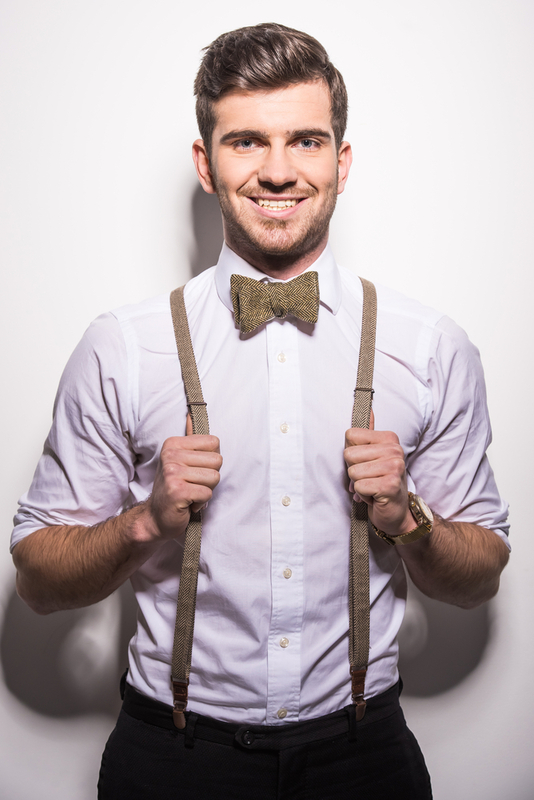 Suspenders: It’s official – suspenders are making a comeback. Grooms are choosing them over vests in different color and patterns to make a statement on their big day. If you really want to step up your game your could sport some monogrammed suspenders. Underwood’s is here for all of your wedding accessory needs! We can also customize jewelry you have and turn it into something that’s one-of-a-kind for your special day. Show off your Underwood’s style.